Where can you find the latest Nissan models, a dedicated auto service center, as well as financing and leasing options less than 15 minutes away from the Oak Brook, IL area? Bill Kay Nissan has every important service under one roof, and one important advantage. From service to finance, our team follows the Bill Kay Way. What does that mean exactly? Continue reading to find out, or give us a call at (888)448-1554 to schedule an appointment so you can find out just how different we are from our competitors. Do you feel limited by the dealerships in the Oak Brook, IL area? Take a short drive to Bill Kay Nissan, and discover your next new car, truck, or SUV today. We also maintain a select inventory of certified pre-owned Nissan models and used vehicles from several popular manufacturers. Browse through our current inventory, and contact our team through our appointment form to schedule a test-drive today! A better commute is less than 15 minutes away from your home in Oak Brook, IL. How can you get into a new Nissan car, truck, or SUV with a finance plan or lease deal that matches your budget? Bill Kay Nissan near Oak Brook, IL has special pricing and factory-direct incentives that will help you afford the new vehicle you’ve been searching for. Use our online finance application to get pre-approved for an auto finance or lease deal, and shop for your next new vehicle without having to worry whether you can afford it or not. A payment plan that puts you into the new Nissan you want is only a click away with Bill Kay Nissan. Are you in need of a reliable auto service center that makes saving you money a priority? Our auto service team offers high-quality auto maintenance and repair services for less with exclusive coupons and special offers. Take a look at the current service specials available at Bill Kay Nissan near Oak Brook, IL, and schedule your next appointment right now. Keep in mind that our service specials and coupons are updated monthly. Once these offers expire, they’re gone for good. How to get to Bill Kay Nissan from Oakbrook, IL? The trip will take about ten minutes and should be completed in less than six miles. 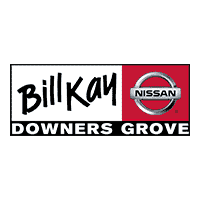 Why Choose Bill Kay Nissan near Oak Brook, IL? The difference at our Nissan dealership near Oak Brook, IL comes down to our philosophy: The Bill Kay Way. We believe that everyone deserves to get the best price on the car, truck, or SUV of their choice, and work out a lease or finance plan that suits their budget and lifestyle. Our team wants to achieve 100-percent customer satisfaction, and we’re willing to go the extra mile to achieve it. Get in touch with our team through our appointment form or by phone at (888)448-1554 to schedule a time to visit us and see what it’s like to buy a new car, truck, or SUV the Bill Kay Way!